I started this baby girl quilt over a week ago and it's ready to machine quilt. I saw something similar on Pinterest and loved it and still love it! I have been working on a special Christmas in July quilting tutorial. I follow several blogs of quilters who mention that they sometimes get quilts they have made published in magazines or books or they are sponsored by fabric companies and make quilts with certain fabric lines. When Julie Cefalu, The Crafty Quilter asked for volunteers to do a tutorial on a Christmas project, I wanted to try it! 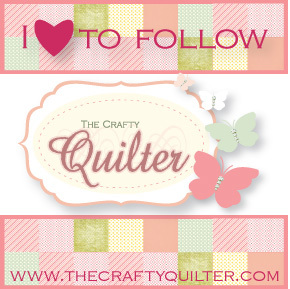 Check out their blogs to see the beautiful things they make!